All our welders are very experienced and are certified. 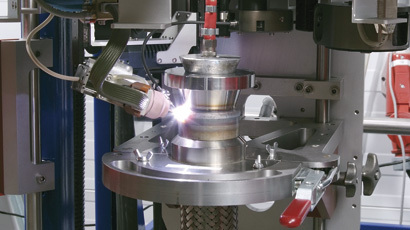 ERIKS also invested in new welding robots for assemble stainless steel hoses or expansion joints. With this machines ERIKS guarantees the best welding quality on a very efficient way. With one weld the welding ring, the coupling and the hose are welded together. By using backing gas a clear welding surface is obtained on the inside.